Hot games. Exclusive deals. No lines. If you’re the type of video gamer who likes to receive heavy discounts on a range of cutting-edge gaming titles, without having to stand in line at a physical retail store, then the Xbox Black Friday deals bonanza that’s being teased is probably something you’re going to want to take an interest in. 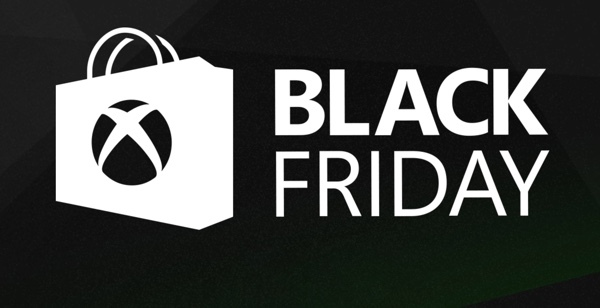 Black Friday is an annual shopping sensation that all price conscious and deal hungry individuals eagerly await, and this year Microsoft, makers of the Xbox, isn’t pulling any punches or being coy about the significant savings that Xbox LIVE members will be able to enjoy come Black Friday. In an effort to drum up some interest from gamers prior to the Black Friday shenanigans beginning, Microsoft has posted a teasing “sizzle reel” that outlines some of the gaming titles and savings that can be made. The software-giant has also outlined the fact that Xbox LIVE Gold members will be offered early access to Xbox One and Xbox 360 digital game deals starting November 20, 2015. That early bird access, which is a perk of being an upgraded Xbox LIVE Gold member, comes with savings of between 40-60% off selected titles. In some instances there’ll also be a deeper discount offered of up to an additional 10%. Those same Black Friday deals will be expanded and opened up to Silver members four days later on November 24, 2015. Microsoft will then follow those promotions up with an additional set of weekend exclusives on the weekend beginning November 27, 2015. The accompanying trailer reel that sits on the Xbox Black Friday website teases with clips of excellent scenes from popular titles such as Gears of War: Ultimate Edition, Forza 6 Motorsport, The Witcher 3: Wild Hunt and Batman: Arkham Knight. There’s also a teasing text introduction that informs those watching that the “wait is over”. We will obviously know more about exactly which games will be available at a discount soon. About 150 games are expected to go on sale. One of the most interesting aspects of the Xbox Black Friday sale doesn’t relate to any video game titles. It’s actually the fact that Microsoft will be selling Xbox LIVE Gold subscriptions for a mere $1 starting November 20, 2015. The fact that Microsoft is selling these subscriptions for $1 is particularly relevant considering the company is opening up early access to the rest of its deals to those LIVE Gold members. Make sure to check out the fairly lengthy official teaser video, soak in all of the deals and prepare yourself for the extravaganza that will be offered. It’s a great time to be an Xbox owner.